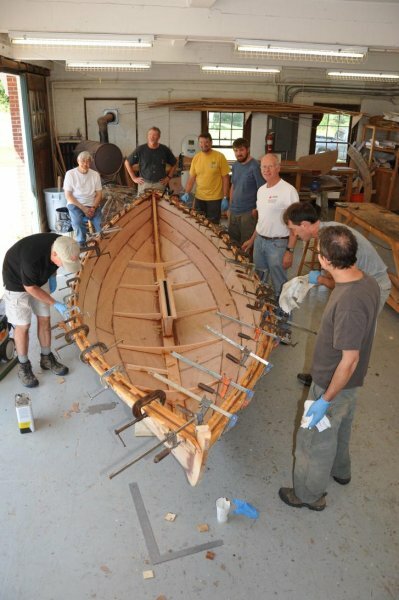 Sundowner had her humble beginnings at the WoodenBoat School’s 2011 Glued Lapstrake class taught by Geoff Kerr. 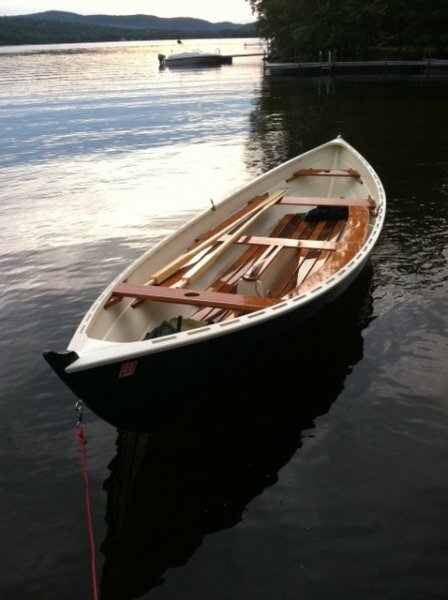 I was fortunate enough to take her home and finish the work we had started. 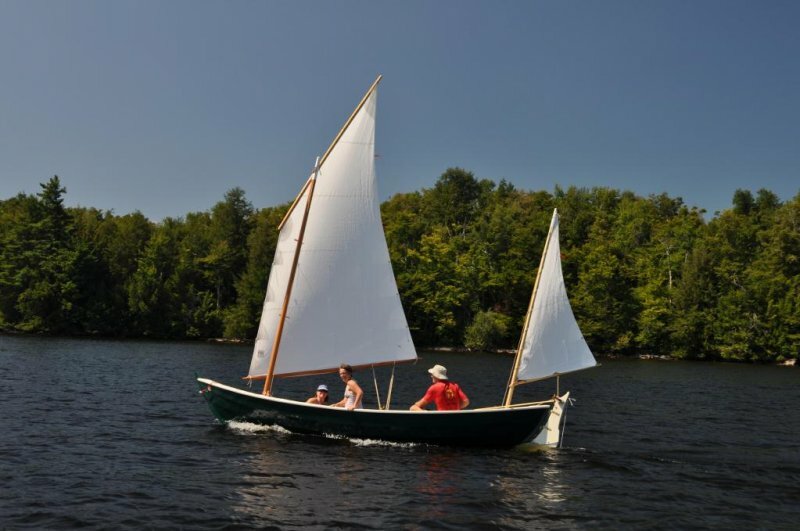 A local mill supplied the cherry, walnut, and pine which I used to finish the hull. 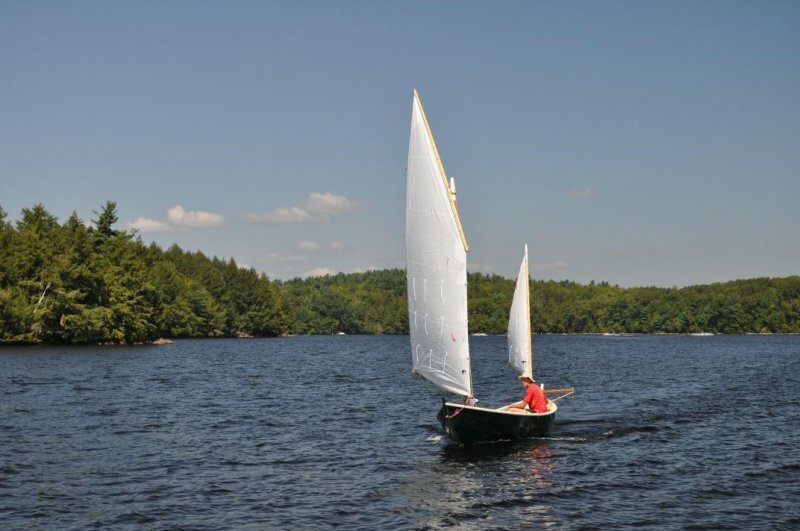 My wife and I primarily sail in the lakes region of New Hampshire with occasional trips to Vermont and the coast of Maine. 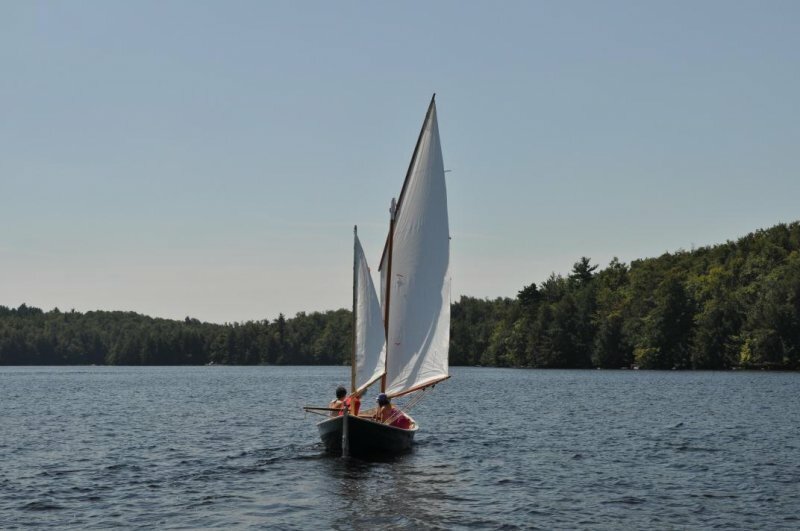 Join us for a sail if you see us on the water.